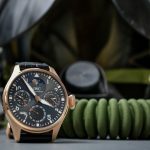 Released to commemorate the 80th anniversary of the first IWC Pilot Watch (the 1936 Spezialuhr für Flieger (Special Pilot’s Watch)). 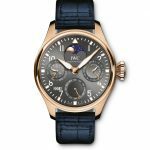 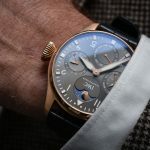 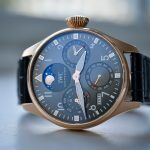 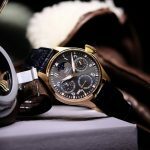 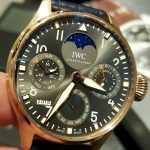 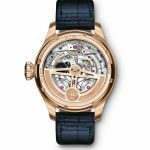 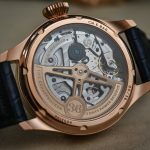 "A Tribute to the 1st IWC Pilot's Watch" Big Pilot pertual has an engraved "36" on the 18 carat rose gold rotor to reference the limited edition size and the year of the first ever IWC pilot's watch. 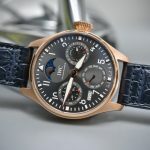 Unique to this edition are the Orange tips to the arrows in the sub-dials. 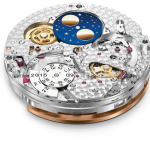 Blued screws are visible through the see-through sapphire-glass back, first introduced in the IW503801 Antoine De Saint Exupéry Perpetual model. 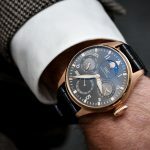 The watch is exclusive to the IWC Boutique in Amsterdam and selected IWC partners within the Benelux and Scandinavia.